Mary Holden Madgey graduated from Clearview in 1995 currently coaches at Cherokee High School. 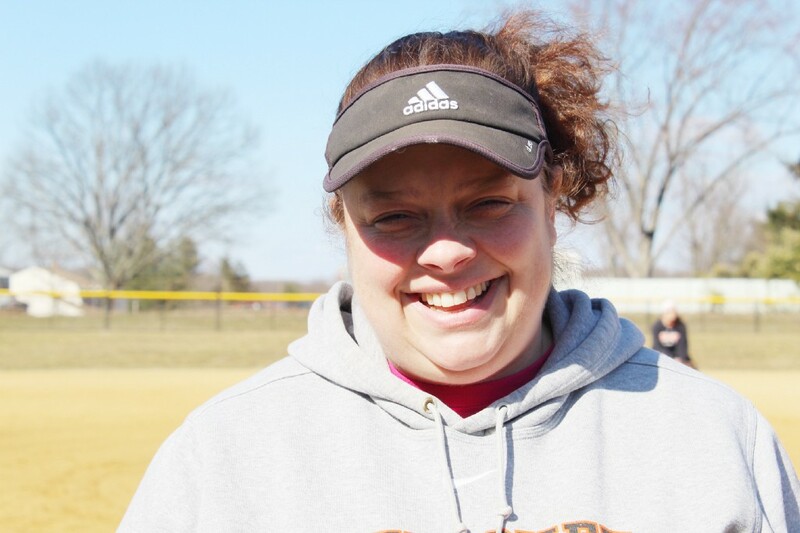 Mary Holden Madgey, a former Clearview Regional High School softball player and current Cherokee High School coach, will soon join the Gloucester County Sports Hall of Fame on March 26. Former Clearview Regional High School softball player and current Cherokee High School coach Mary Holden Madgey will join 12 other athletes for induction into the Gloucester County Sports Hall of Fame on March 26, following her performance on the high school’s softball team and lengthy coaching career. On March 26, Madgey will join inductees from various Gloucester County schools or municipalities to be formally admitted into the county’s sports hall of fame at Auletto’s in Deptford. Inductees include NFL players Isaac Redman (Paulsboro) and Ryan D’Imperio (Washington Township), and former Williamstown basketball player Angela Scott, to name a few. Tickets can be purchased by contacting Gus Ostrum at (609) 502–0424. Following her career at Clearview, Madgey went on to play at Gloucester County College (now Rowan College of Gloucester County) and returned to coach there for five years before becoming a coach at Cherokee in 2003. Madgey has been coaching varsity softball for three years at Cherokee. “I had supportive coaches, and that’s what I always wanted to become — to be here not only as a coach, but be supportive of these girls and help them make good decisions, and help them get to where they want to be in life,” Madgey said.